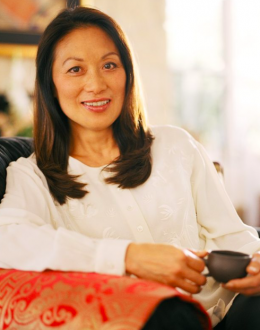 Marilyn Tam, Ph.D. is a Speaker, Author, Consultant, Board Certified Executive/Corporate Coach, CEO of Marilyn Tam & Co. and Founder and Executive Director of Us Foundation. She was formerly the CEO of Aveda Corp., President of Reebok Apparel and Retail Group; Vice President of Nike Inc. and also a successful entrepreneur who has built four companies. Inc Magazine ranks her as one of the top 100 Leadership Speakers in the world. Brand Channel lists her as one of the four most prominent names in Ethical Business globally. Marilyn is a contributing writer to Huffington Post on how to live a happy, healthy, successful, and dynamically balanced life. Marilyn is now an international selling author, and she speaks, facilitates workshops and consults with corporations, organizations and people to achieve greater success and happiness. She helps people and organizations find and fulfill their life purpose, and provide them with the principles and actions steps to take them their goals. Her NPR (Net Promoter Score), the industry standard for measuring customer satisfaction, from her clients is among the highest rated of all speakers. Marilyn’s book, “The Happiness Choice”, was the top 3 most read book by businesses according to the leading business book supplier. The book won the Silver Medal of the Global eBook Awards. The book shows how and why happiness is crucial for business productivity and success, and for your physical, emotional, spiritual and financial health. Her book, “How to Use What You’ve Got to Get What You Want”, is in six languages. Her book, “Living the Life of Your Dreams” was eBook of the Year in the Inspirational/Visionary category.